Will your phone stay stuck on Gingerbread? Will your HTC phone stay up to date? TechRadar has spoken to HTC about the new Android 4.0 release to see when the firm will be updating its phones to the next level of Google's OS. "We are excited about the latest update for Android, Ice Cream Sandwich, and are currently reviewing its features and functionality to determine our upgrade plans," said a spokesperson. "Our goal for Android updates is to give every customer an improved user experience, which means balancing each phone's unique hardware, HTC Sense experience and the Android kernel." It continued, "While our goal is to upgrade as many of our recent devices as possible, we are committed to maintaining every phone's performance and usability first. Please stay tuned for more updates on specific device upgrade plans." 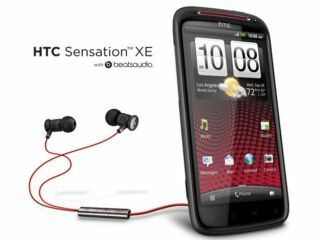 It sounds very much like some phones won't be moving to Ice Cream Sandwich if the phone can't handle it while running the company's popular HTC Sense overlay – something that plagued the upgrade of the HTC Desire. However, the statement could also be read as the smartphone powerhouse simply not wanting to repeat that debacle again and hedging its bets before properly testing out the new software – although we'd have expected HTC to be given a pretty advanced preview already. So, what do we think, HTC fans? Good news that there won't be confusing messages put out about software upgrades just yet, or worry that your new HTC phone will be outdated? Let us know in the comments below.